What’s more American: Making your own hot dog or making your own smartphone? 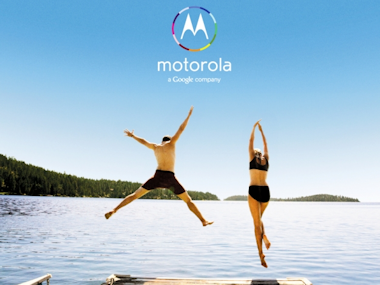 This Fourth of July, Motorola is emphasizing the latter. According to a report in Ad Age, the Google-owned handset maker is planning on running a full-page advertisement tomorrow promoting its upcoming Moto X smartphone. The ad will run in the New York Times, USA Today, The Wall Street Journal (AllThingsD’s sister site, under the parent company News Corp) and the Washington Post. In the ad, Motorola says that consumers will be able to design their own smartphones — making them as “unique” as their personalities. At D11, Motorola CEO Dennis Woodside — who had the new smartphone tucked in his suit pocket, but wouldn’t show it to the crowd — said that, while parts of the phone would be made overseas, the phone would be built in the U.S. The Moto X is just one of several new phones due from Motorola this fall. As AllThingsD’s Ina Fried reported, Woodside hinted at the presence of advanced sensors and Bluetooth technology in upcoming handsets, but final details and specs are still to be revealed.